It’s hard to make sense of analytics data when you, your employees, and/or your developers are making frequent visits to your website. Data about your visits gets mixed in with data about your customers’ visits, making it difficult for you to see what your customers are up to. 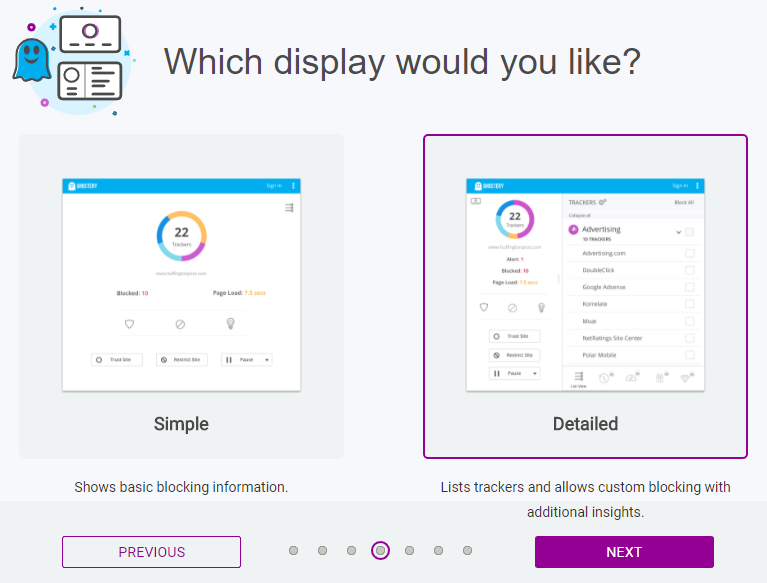 Most analytics software allows website owners to block their own IP addresses from showing up in the data, but this is not a practical solution since most peoples’ IP addresses change fairly often. Instead, we recommend using a browser plugin to block yourself and your team from your website’s analytics. Click here to go to the Ghostery download page, and select the correct version for your browser. Enter your email address, name and a new password to create your Ghostery account. This is important so that you can reuse your Ghostery setup on all your other browsers. When you’re finished entering your information, click “Create Account”. 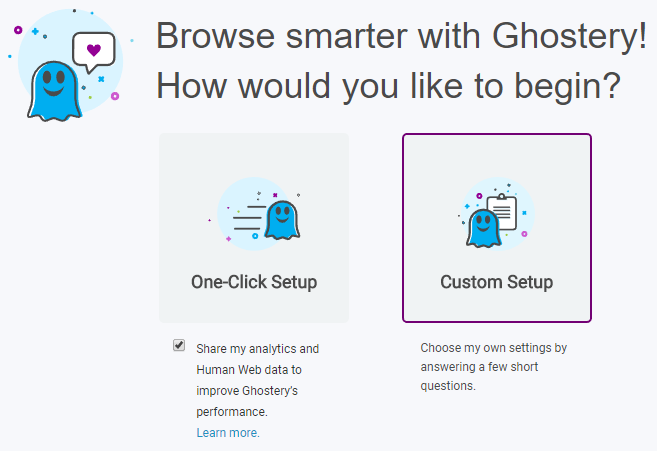 You decide whether you want to send anonymous usage data to Ghostery to help them improve their product. Then click “Next”. The setup is finished! Click “Exit”. Use the same browser to go to your website. You should see the Ghostery icon ( ) somewhere near the top of your browser window. Click on it, and a window will open where you can manage your settings. 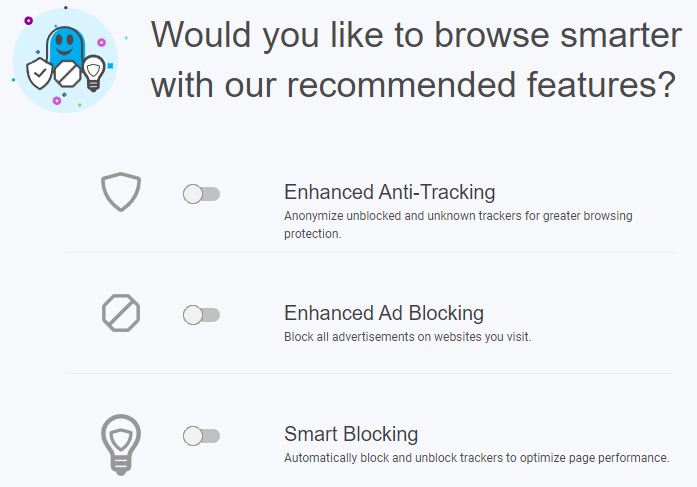 Click “Restrict Site” to block yourself from all analytics on this website. Then click the three dots in the top right corner of the window, and click on “Settings”. Click on “Purple Box” in the menu. Uncheck the checkbox that says “Show the purple box in the corner of my browser”. Now you can close the Ghostery window by clicking outside of it. Repeat steps 1-10 for each browser you will be using to visit your website. Have each member of your team complete steps 1-11, so their visits are excluded from your analytics data too. Note: keep in mind that browser extensions are not available for mobile devices, so your mobile visits to your website will still show up in your analytics data.